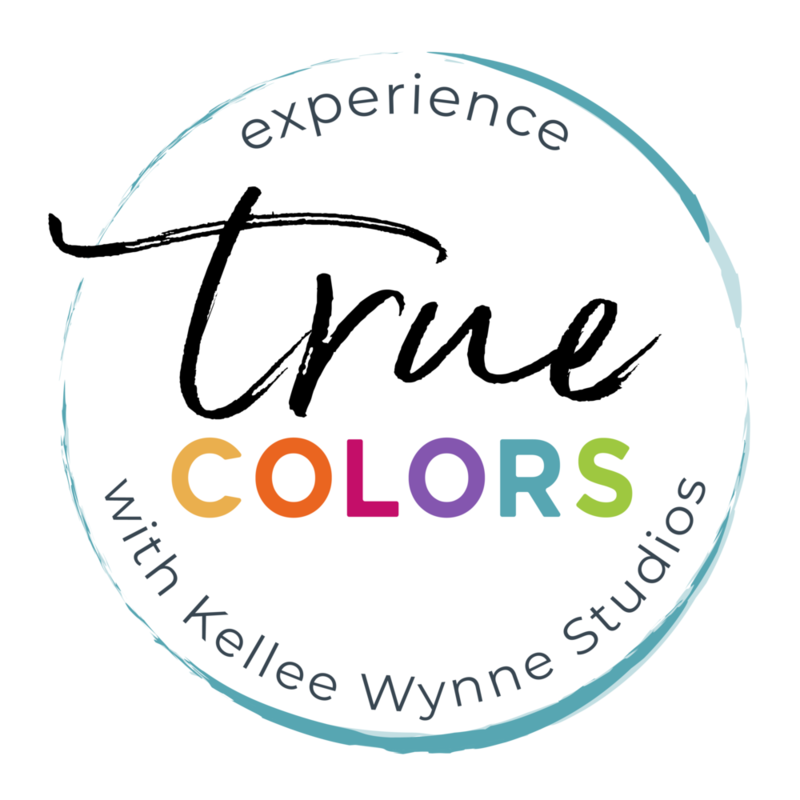 The True Colors Art Program™ with Kellee Wynne Studios provides a unique subscription-based membership for artists that delivers quality content, inspiring lessons and a supportive community on a weekly schedule. 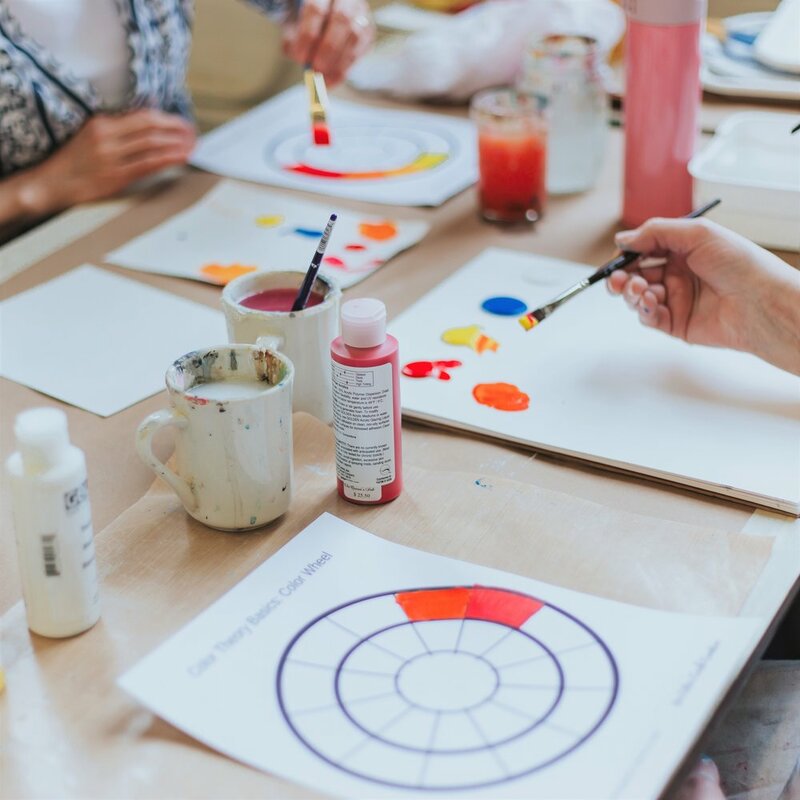 Monthly Palette Lessons Discovering our creative intuition isn't the only step needed to become a good artist. I believe that learning the principles of color and design and becoming confident in the use of basic tools and techniques will actually free you to make more impactful and satisfying decisions when you create. Following along with the True Colors monthly palettes, we will continue with color and technique lessons. These lessons will give you a solid foundation for making better art and strengthen your skills as you grow in your own creative style. The theme and color palette will be revealed on the first Friday of every month and we will work in our Creative Process Journal with mixing videos, inspiration images, demos and prompts to keep your ideas fresh and flowing. Guest Artists - Having a guest artist every month keeps the content fresh and always exciting! On the first of every month you will be introduced to one talented professional artist. 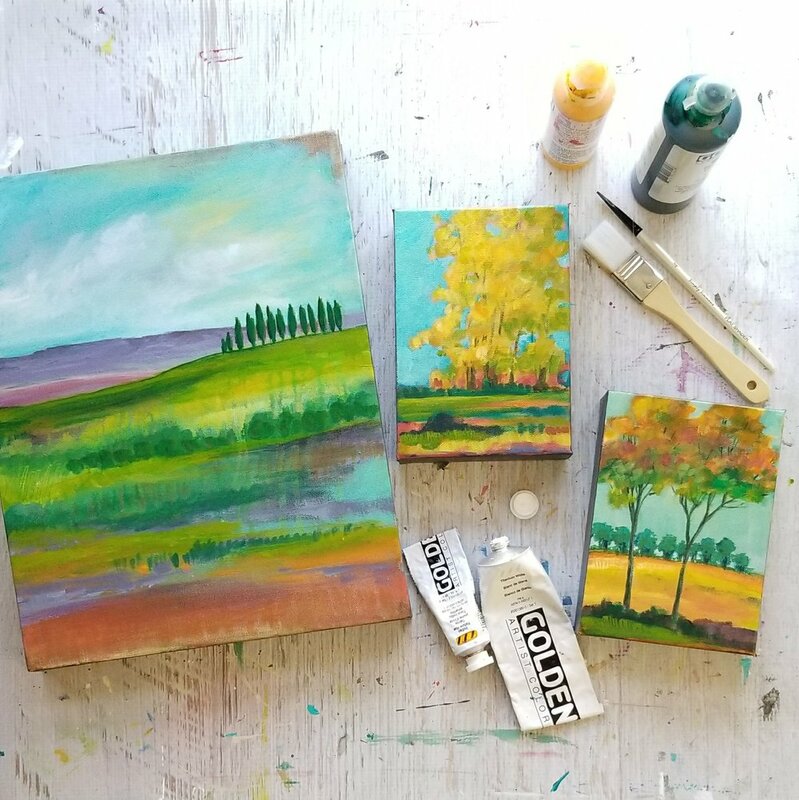 An artist who will help inspire you on your art making journey and encourage you to discover your creative intuition through new techniques and thoughtful lessons. Working hand in hand with me, each guest artist will help develop the theme and focal color that all lessons of the month will be inspired by. The featured guest artist will have prepared a video lesson, written material and provide support in the forum. Big Concept Painting Project - I know that creating step-by-step perfect little paintings will only get you so far when developing your own unique style as an artist, so the idea of teaching a "Big Concept Painting Project" is my answer to helping you learn how to discover your True Colors. From learning secrets from the masters to listening to your muses, there are key steps I will teach you to let go of expectation and learn how to find joy in the process of becoming who you were meant to be as an artist. We are all at different stages in this journey as artists, but having a beginner's mindset will open a world of possibility for you as the artist you are capable of being. New Content Delivered Every Friday - Every Friday you will discover new content to keep you inspired. This includes demos with projects to coordinate with True Color's monthly color palettes, a big concept painting lesson every month and a LIVE discussion lesson on video call (always saved to view later). Your Fridays will never be the same! Community - Sometimes just having a place to belong and find answers is what we are really longing for while we navigate this tricky creative life. Having a community of like-minded artists to turn to is a true gift that the internet can give us. In our private online group for members you will find friendship from fellow artists, oftentimes lovingly referred to as Trulies or TFFs (True Friends Forever). This is where all the fun happens after the lessons are released! Support for your creative passion in an exclusive private Facebook group from me, my True Colors Team. and the amazing members where unique projects and growth opportunities are sure to surprise you. This group is enough of reason to join! Bonuses - As many of you know I am not one to skimp on giving. If I have more that I want to share I usually just can't hold back! At times we may have extra guest artists, especially on months where we have a fifth Friday available for extra content. Also, I have been known to take field trips to galleries, or artist's studios. Who knows where I'll pop up next, but I will probably take you along for the ride with a video tour. And if I find something special on the internet, a book, a blog, a podcast, a video or another artist's point of view, you better believe I'm going to let you in on the info. Archive of Lessons from 2018 - When you join you have immediate access to all the available past lessons. This includes the Guest Artist lessons, paint mixing lessons, foundation lessons and many projects lessons. While some content may be retired from time to time, it’s a guarantee that you will start will several dozen lessons to jumpstart your creativity! Choosing the monthly option might be right for you if you need the flexibility and affordability of small, recurring payments every 30 days. You lock in this current rate indefinitely and you’ll get full access to all the available content as long as you retain your membership. You can cancel anytime. Only $26/month. A great option to save money. The annual recurring subscription plan gives you all the great monthly content while saving you two months of payments annually. You lock in this current rate indefinitely and you’ll get full access to all the available content as long as you retain your membership. Only $260/year. True Colors will open a floodgate of exciting new methods for creating acrylic, watercolor and mixed media artwork. We will not shy away from bright colors and bold marks. Join me as I share all the secrets to my luminous layered method of acrylic painting while at the same time digging deep into the creative process to help you discover your personal artistic style. Learning how to ask questions as we paint and look for answers in each mark is an important part of finding your own True Colors! From abstract florals to modern landscape, I hope to ignite your passion for color while using the most versatile medium ever created: fluid acrylic paints. Watch paint drip, run and flow with a spray bottle, rubbing alcohol and high flow mediums. Play with graphite, charcoal and soft pastel to make your mark. Scrape, scratch, scumble and spray wet paint for altered effects. Add touches of oil pastel, water soluble crayon and more. Use multiple stencils and mark making tools all on one painting successfully. Learn how to boldly use collage on your work or subtly hide it in paint to reveal new layers. And most importantly, learn to mix color like you never have before.